In a new book, author David Oshinsky, PhD, uncovers the history and misconceptions of Bellevue, America’s first public hospital. The history of American medicine is inextricably linked with Bellevue Hospital in New York City. In the 2016 book, Bellevue: Three Centuries of Medicine and Mayhem at America's Most Storied Hospital, acclaimed author David Oshinsky, PhD, recounts the story of America’s first public hospital from its beginning as an almshouse in the 1730s to a modern center of medical innovation that has trained thousands of physicians. Bellevue has been known for delivering high-quality care to the disadvantaged and homeless, to dignitaries and U.S. presidents. The hospital has been at the forefront of advancements in American medicine, including cardiac catheterization and the treatment of HIV/AIDS and tuberculosis patients. 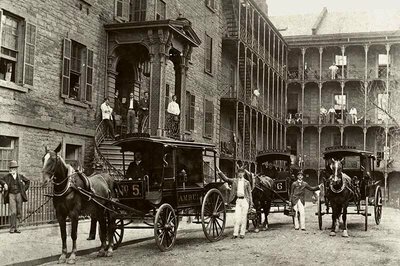 America’s first nursing school and the first ambulance service—a horse-drawn carriage—also originated at Bellevue. Nearly 300 years later, one thing has remained constant: Bellevue treats every patient who walks through its doors. Oshinsky is director of the Division of Medical Humanities at NYU School of Medicine. He received the Pulitzer Prize in history in 2006 and the Herbert Hoover Book Award in 2005 for his book Polio: An American Story. What compelled you to write about the history of Bellevue? I am a baby boom–generation child from New York City. When I was growing up, Bellevue was a frightening and disturbing institution, but it was mainly known for one aspect—the psychiatric wards. It’s a dichotomy. On the one hand, Bellevue was seen by the public, certainly beyond New York City, as almost exclusively as a place for “crazy people.” It had a reputation in movies—in Miracle on 34th Street when I was growing up and later in The Godfather—as being almost a gothic, medieval, and scary place. When I was acting up, my mother would say, “Keep it up, David, and you’re on your way to Bellevue.” One of the largest misconceptions about Bellevue was certainly that it was a psychiatric hospital. But for New Yorkers in the know, it was an extraordinary public hospital. There was a lot more to Bellevue than what was known in popular culture. It was the first public hospital in America and had terrific services, including the best trauma unit, probably in the world. When a cop was shot or a fire fighter was overcome by smoke, the person was taken to Bellevue. Foreign dignitaries, the president, or the pope would also go to Bellevue. What other misunderstandings did you uncover about Bellevue? Another misconception was that as a public hospital it was just overrun by filth, vermin, and bad doctoring. The belief was that those who went to Bellevue had no other options, and that was true to some extent. But it also was a dumping ground for other hospitals that didn’t want certain types of patients—particularly difficult patients and those who couldn’t pay for their medical care. For [nearly] 300 years, Bellevue’s ethos has been that it turns no one away. Another thing I learned, which had always been quite obvious to the patients and the staff, is that the medical care was superb, and Bellevue attracted the best doctors in the country. When doctors came to Bellevue, they knew they would have an extraordinary learning experience and would see every imaginable medical condition and disease. How has Bellevue evolved as clinical research and medical innovation advanced? 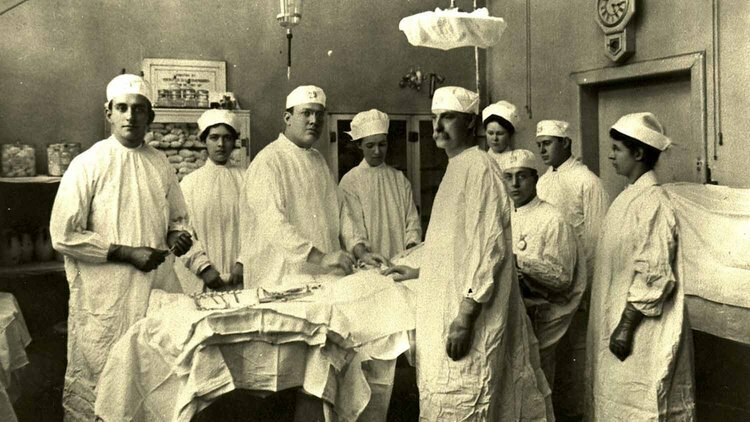 For generations, Bellevue was the biggest public hospital in the United States, and that meant there was a lot of medical innovation—everything from surgery, anesthesia, germ theory, and vaccine trials. Bellevue was a welcoming place for physicians who were on staff or who trained there—from William Gorgas who conquered yellow fever to Jonas Salk and Albert Sabin who developed the polio vaccines. Dickinson Richards won the Nobel Prize for cardiac catheterization [in 1956]. They all were trained extraordinarily well. You suggest that the history of Bellevue is intertwined with the history of New York City. 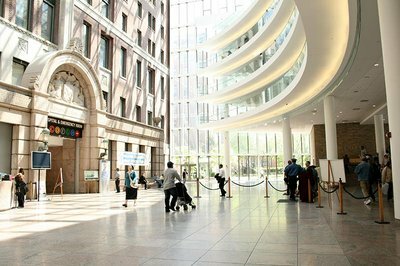 From the beginning, you can chart the history of New York City and the medical history of the United States through this hospital. Every immigrant group went through New York City, so every group also went through Bellevue, starting with the Irish [in the mid-1800s] and continuing with Jews, Italians, and Eastern Europeans [in the early 20th century]. Today, the patients are almost entirely immigrants, but they are from very different places: Africa, Asia, and Latin America. Yet they are the same as the immigrants who came before in that they are poor, and Bellevue is still the place where they will go and get the best medical care. You use the stories of physicians who passed through Bellevue to illustrate the history of the institution. How were some of these physicians significant in shaping the institution? The first real doctor at Bellevue was Alexander Anderson. He was a young doctor when he took a job at Bellevue in the 1790s, at the height of the great yellow fever epidemics. No one knew what caused yellow fever. There were endless deaths, and it was dangerous work. His wife, his child, both parents, and his brother all died of yellow fever. But he stayed the course taking care of these patients because he believed it was God’s work. His legacy of extraordinarily compassionate patient care has continued through the centuries. Learn Serve Lead 2017: The AAMC Annual Meeting, Nov. 3–7 in Boston, will include a session with Bellevue author David Oshinsky, PhD, on Sunday, Nov. 5, from 3 p.m. to 4:15 p.m. In the 19th century, Stephen Smith was the father of modern public health. He understood that there were two classes of citizens in New York—those who lived in dismal conditions and others who were wealthy—and that the medical care each side had was so different that there were basically two cities in New York. He made it his creed to bring the notion of public health to New York City and the United States. Another was Charles Augustus Leale, who was a young Bellevue physician in the 1860s. When President Abraham Lincoln was shot at Ford’s Theatre, Leale was the first physician who reached him, and he did everything he could to save him. He held Lincoln in his arms and stayed with him for 18 hours. When he was asked why he stayed so long he said, “I wanted the president to know in his blindness that he had a friend.” To me, that represents the Bellevue credo. The AIDS crisis was a significant event in Bellevue’s history. How did the early days of the epidemic reinforce Bellevue’s role as a safety net hospital? In the early 1980s, Bellevue began receiving patients with opportunistic infections that had rarely, if ever, been seen before. At this time, the patients were almost all young gay men, and they started coming in by the dozens and then by the hundreds. But within a short period of time a majority of the AIDS patients at Bellevue were intravenous drug users. At the time, the medical community was frightened to death by a disease that had no cure and was 100% fatal. You couldn’t find a single dentist in Manhattan who would treat an AIDS patient. But as AIDS patients came to Bellevue, the doctors realized that they would have to learn to deal with this. There were staff who would refuse to clean the rooms of AIDS patients, deliver food, or give them CPR. All this had to be overcome, and Bellevue was absolutely amazing at training the entire staff. More AIDS patients died at Bellevue than at any other hospital in America, but the staff performed heroically. The response reflected the original example of Alexander Anderson: you stayed, and you took care of patients. In the end, the three-drug cocktail that transformed AIDS from a death sentence to a manageable condition was tested at Bellevue. The hospital’s role in treating patients, dealing with the disease, and overcoming the fears is one of its finer chapters.